I used some stamps & and an ink pad (obviously), I got some pre-cut paper that is about 4″x9″, a ruler, and some colored pencils. 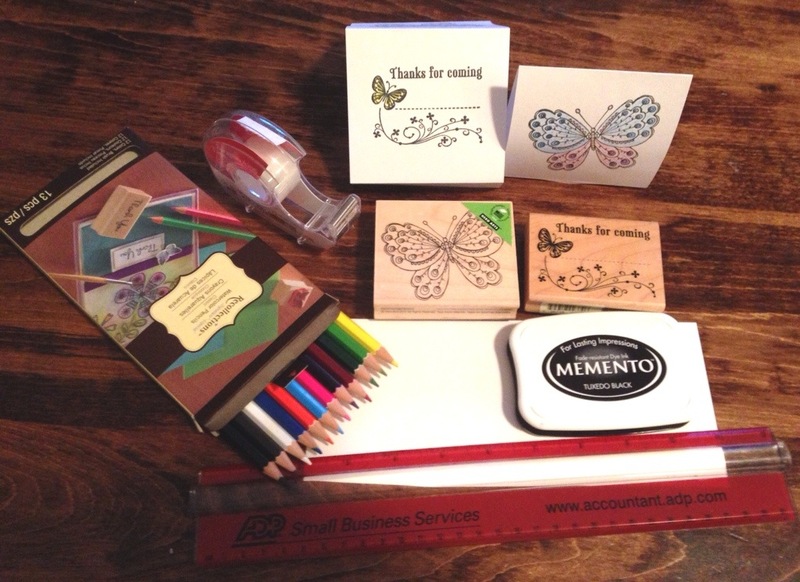 Before you stamp, create your place card shape. 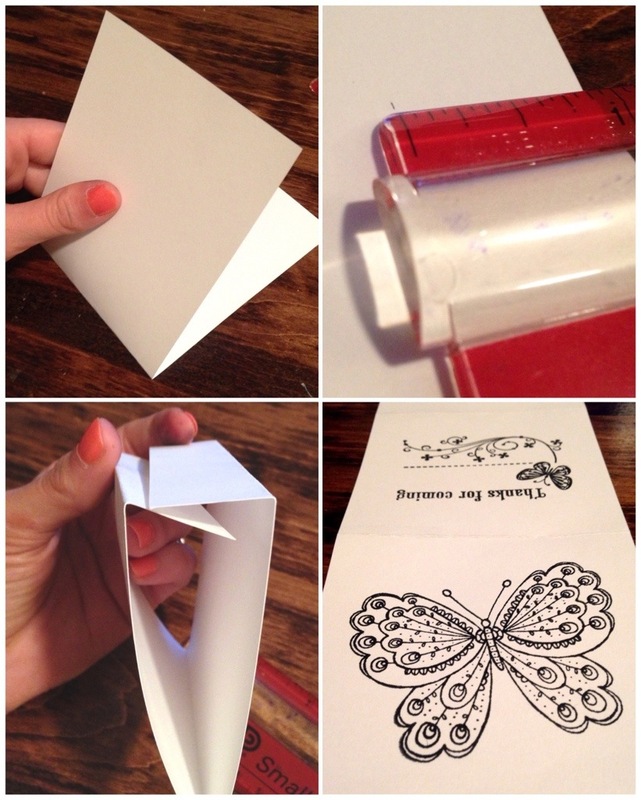 Fold the paper in half, and measure about 3/4″ on each end and fold to create a sort of stand. Then unfold it all and use your stamps. I eyeballed it for the most part. 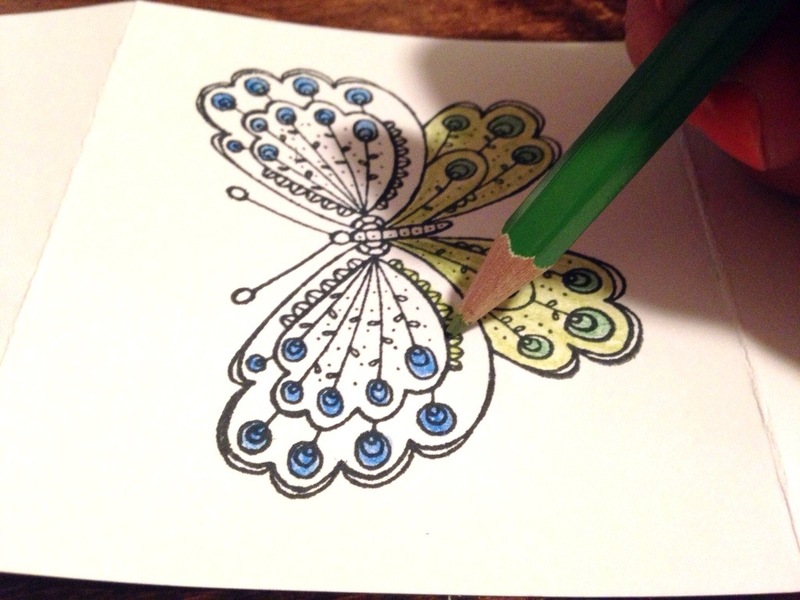 If you want to, use colored pencils to make them pop. When you have all your guests’ R.S.V.P. cards you can fill out the place cards. Don’t complete the last step until you’ve filled everything out! 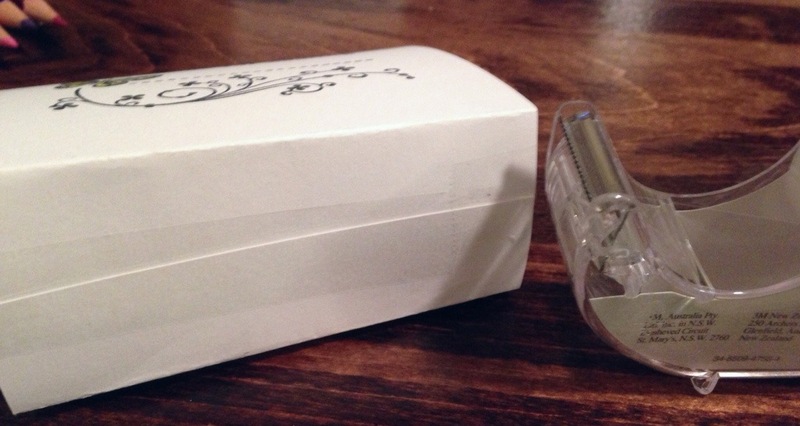 Once the cards as filled out, tape together the bent ends. And you’re all set! 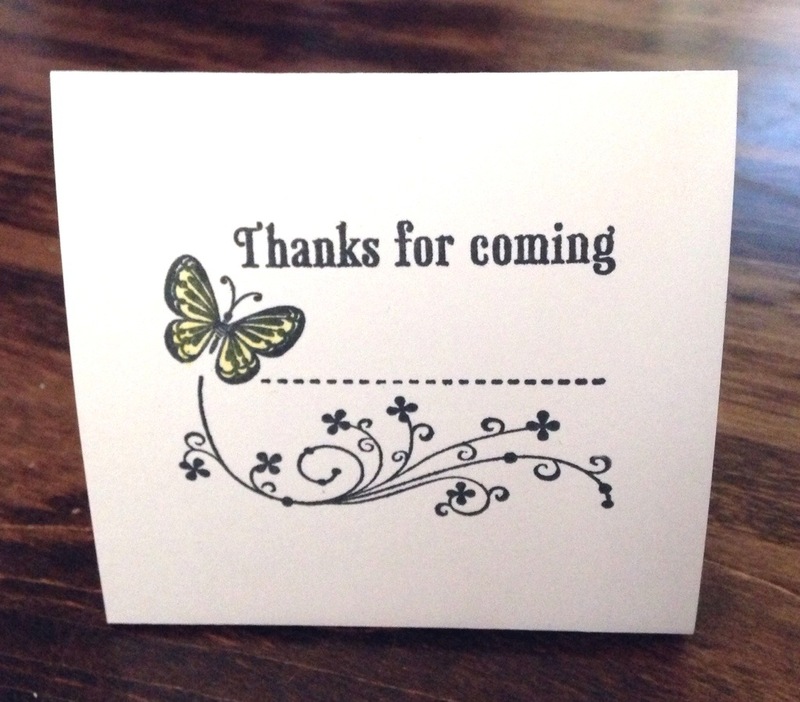 What do your place cards look like?